Southern California Beach Club is a family-friendly resort nestled on the beach just a block from the Southland's longest pier and a mile from its harbor. 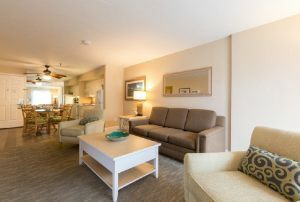 You’re on vacation to be together, so enjoy more quality time and exceptional value by sharing one of our two-bedroom condos. Ideally suited for groups of six, these spacious units are ideal for extended families or your next getaway with friends. All units are non-smoking and equipped with flat screen TV, Wi-Fi, and a complete kitchen just right for a gourmet meal or a quick snack. 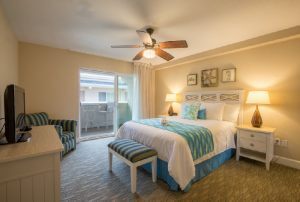 The resort is a short drive from many shops and restaurants and is conveniently located close to attractions, including the San Diego Zoo, SeaWorld, the Wild Animal Park, Disneyland, Knotts Berry Farm and Universal Studios. Nearby, enjoy a wide array of recreational activities, such as boating, fishing and professional sports. After a full day, savor the ocean view from the club\'s rooftop whirlpool. You won’t find a more appealing beachside location in all of California than the Southern California Beach Club. It’s the ideal vacation spot for your family. 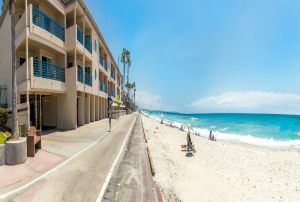 With Southern California Beach Club, you’ll stay steps from Oceanside’s surf, sand and sun. With nothing between you and the sand, Southern California Beach Club is the quintessential beachfront resort. Stroll the Oceanside Pier or explore the local shops and eateries. Every condo has a private patio or balcony where you can enjoy the refreshing ocean breeze. Sorry but the report 'GPX-Socal' is empty. It does not have any listing data to display.